The two announced their engagement today. 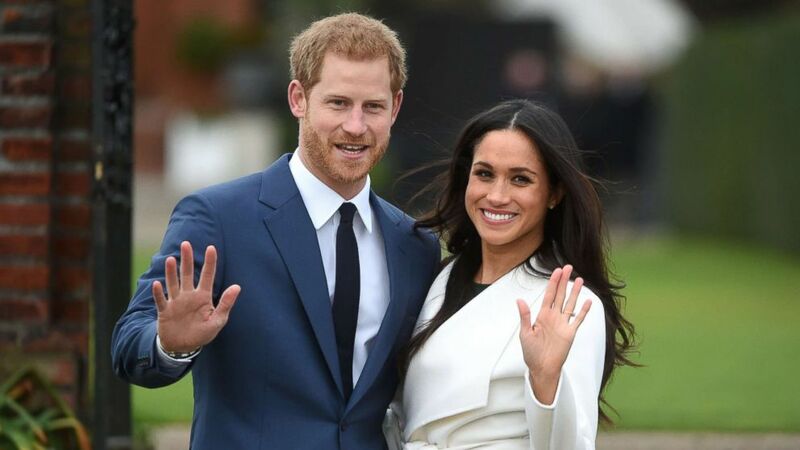 Prince Harry and Meghan Markle took the world by storm on Monday when it was announced that the famous duo were engaged and plan to wed in the spring of next year. "His Royal Highness and Ms. Markle became engaged in London earlier this month," the official announcement from Clarence House read. But how did Harry, 33, meet Markle, 36, and how did he ask her to be his bride? Those questions and more were answered in the pair's first sit-down interview with the BBC since the big news broke. Harry detailed this "perfect" romance, while the former "Suits" actress called their courtship "authentic and organic." Interviewer: Your Royal Highness, Meghan Markle, congratulations to you both. Meghan Markle: Yes, as a matter of fact I could barely let you finish proposing. I said, "Can I say 'yes' now?" Prince Harry: She didn't even let me finish. She said, "Can I say yes? Can I say yes?" and then were was hugs and I had the ring in my finger and I was like, "Can I - can I give you the ring?" She goes, "Oh yes the ring." So no it was - it was a really nice moment, it was just the two of us and I think managed to catch - catch her by surprise as well. (Pool via Kensington Palace) Britain's Prince Harry and his fiancee, U.S. actress Meghan Markle give their first interview following their engagement, Nov. 27, 2017. Int: Which for most people would be quite a whirlwind. Is that how it's felt to you? Meghan Markle: I don't think that I would call it a whirlwind in terms of our relationship. Obviously there have been layers attached to how public it has become after we had a good five, six months almost with just privacy, which was amazing. But no, I think we were able to really have so much time just to connect and we never went longer than two weeks without seeing each other, even though we were obviously doing a long distance relationship. So it's - we made it work. Prince Harry: The beginning of July. And then it was I think about three, maybe four weeks later that I managed to persuade her to come and join me in Botswana. And we - we camped out with each other under the stars, we spent - she came and joined me for five days out there, which was absolutely fantastic. So then we were really by ourselves. Which I think, which was crucial to me to make sure we had a chance to get to know each other. Int: But the friend who introduced you, was she trying to set you up? Meghan Markle: Yes, it was definitely a set up. (laughs) It was a blind date. And it’s so interesting because we talk about it and now and even then, I, you know, because I’m from the States, you don’t grow up with the same understanding of the royal family and so while I now understand very clearly, there’s a global interest there. I didn’t know much about him, and so the only thing that I had asked her when she said that she wanted to set us up, was, I had one question. I said, "Well is he nice?" Cause if he wasn't kind, it just didn’t, it didn’t seem like it would make sense and so, we went and had a, met for a drink, and then I think very quickly into that we said, "Well what are we doing tomorrow? We should meet again." Prince Harry: "What are we doing tomorrow? Let’s meet again." And then it was like, "Right there is, we need to get the darries out and find out how we’re gonna make this work." Because I was off to Africa for a month, and she was working. And we just sort of right where is, where’s the gap? And, the gap happened to be in the perfect place. So. (Eddie Mulholland/Pool via AP) Britain's Prince Harry and Meghan Markle pose for the media in the grounds of Kensington Palace in London, Nov. 27, 2017. 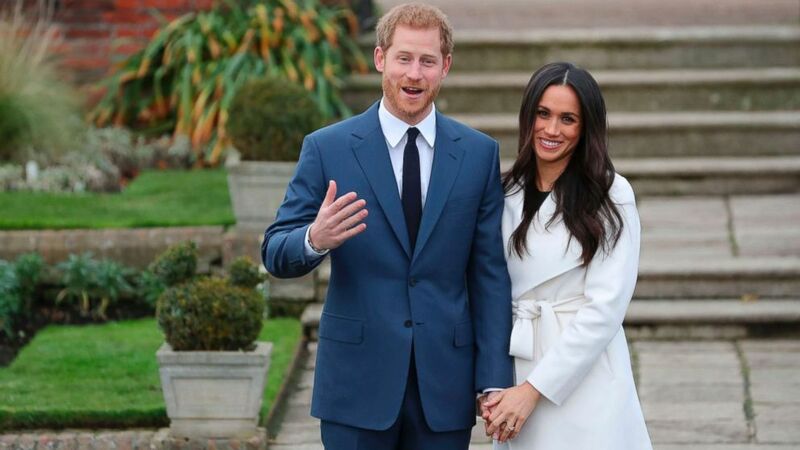 It was announced Monday that Prince Harry, fifth in line for the British throne, will marry American actress Meghan Markle in the spring, confirming months of rumors. Int: How much did you Prince Harry know about Meghan? Had you seen her on TV? Prince Harry: No, I’d never, never even heard about her until this friend said "Meghan Markle." I was like right, "OK, give me, give me a bit of background. "(Meghan Markle laughs). "Like what’s going on here?" So no, I’d never, I’d never watched "Suits," I’d never heard of Meghan before. And I was beautifully surprised when I, when I walked into that room and saw her. There she was sitting there, I was like, "OK, well, I’m really gonna have to up my game!" (laughs) Sit down and have a, and make sure I’ve got good chat. Meghan Markle: I think for both of us though, it was, it was really refreshing because given that I didn’t know a lot about him. Everything that I’ve learned about him, I learned through him. As opposed to having grown up around different news stories, or tabloids, or whatever else. Anything I learned about him and his family was what he would share with me. And, vice versa. So for both of us, it was just a really authentic and organic way to get to know each other. Int: And was that quite refreshing for you, in the way that you’ve been brought up, you know, with a lot of people knowing a lot about you? Prince Harry: Well, thinking they know. Int: Well, thinking they know. Prince Harry: Yeah, no. 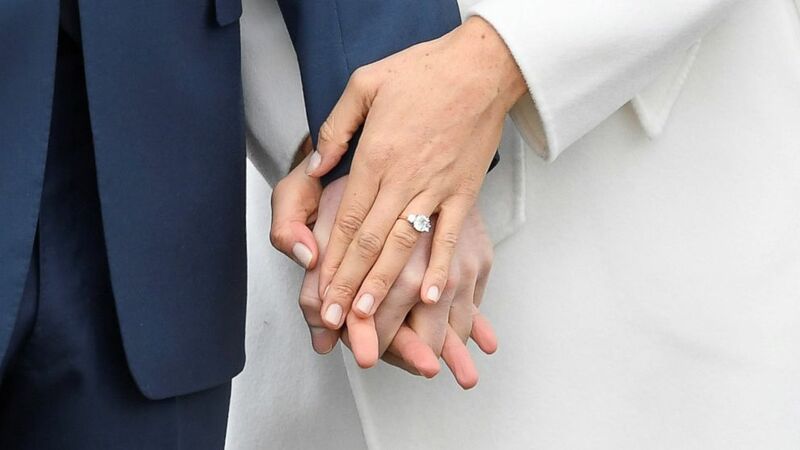 It was hugely refreshing to be able to get to know someone who isn’t necessarily within your circle, doesn’t know much about me, I didn’t know much about her, so to be able to start almost fresh, right from the beginning, and getting to know each other step by step, and then taking that huge leap of only two dates, and then (Meghan Markle chuckles), and then going holiday together in the middle of nowhere. And you know, sharing a, sharing a tent together and all that kind of stuff. It was, it was fantastic. It was absolutely amazing to get to know her, as quickly as I did. Int: Starting a long distance relationship, you were working on "Suits," you had, I imagine, a packed filming schedule, you’ve got lots of commitments of your own, how hard was it, to keep things going? Meghan Markle: It was just a choice. Right? I think that very early on, when we realized we were going to commit to each other, that we knew we had to invest in the time and the energy and whatever it took to make that happen. And, so yes. With the filming schedule, (laughs) it was not the easiest, because it of course included a lot of travel. Back and forth, but. Prince Harry: Other than you had any idea what time zone you’d be... for the last year and a half. Prince Harry: Coming over here four days or a week, and then going back and then straight into filming the next day. 4 A.M. wake calls, on a Monday, straight into set, you know. Meghan Markle: Right off the plane and straight to set. Just coming back into it again. Prince Harry: And just trying to, just trying to stay as close as possible. But, you know, on two different time zones. And five hours apart does have its challenges. But, but you know, we made it work, and now we’re here. So, we’re thrilled. (Toby Melville/Reuters) Britain's Prince Harry holds hands with Meghan Marklem wearing an engagement ring in the Sunken Garden of Kensington Palace, London, Nov. 27, 2017. Int: But in the case of your relationship, unlike for most people, there’s this whole layer of what it means to get involved with someone from the royal family. How much of a sense did you have, Meghan, of the enormity of what you were getting into? What it might mean for your life? Meghan Markle: I think I can very safely say as naive as it sounds now, having gone through this learning curve in the past year and a half I did not have any understanding of just what it would be like. I don't think either of us did that we both said that even though we knew that it would be. Prince Harry: No, I tried to I tried I tried to warn try to warn you as much as possible but I think both of us were totally surprised by the reaction after the first five six months where we had to ourselves of what actually happened from then. So I think you can you can have as many conversations as you want and try and prepare as much as possible. But we were we were totally unprepared for what happened after that. Meghan Markle: I mean I think also because there was a misconception that because I have worked in the entertainment industry that this would be something I would be familiar with. But even though I've been on my show for I guess six years at that point and working before that I've never been part of tabloid culture. I've never been in pop culture to that degree and and lived relatively quiet life even though I focused so much on my job. So that was a really stark difference out of the gate. But, and I think we were just hit so hard at the beginning with a lot of mistruths that I made the choice to not read anything, positive or negative. It just didn't make sense and instead we focused all of our energies just on nurturing our relationship. Prince Harry: On us, yeah. Int: And some of that scrutiny and you ended up making a very public statement about it, some of that scrutiny was centered around your ethnicity, Meghan. When you realized that, what did you think? Meghan Markle: Of course, it's disheartening. You know it's it's a shame that that is the climate in this world to focus that much on that or that that would be discriminatory in that sense but I think you know at the end of the day I'm really just proud of who I am and where I come from, and we have never put any focus on that. We've just focused on who we are as a couple. And so when you take all those extra layers away and all of that noise, I think it makes it really easy to just enjoy being together and tune all the rest of that out. (Facundo Arrizabalaga/EPA) Britain's Prince Harry poses with his fiancee Meghan Markle during a photocall after announcing their engagement in the Sunken Garden at Kensington Palace in London, Nov. 27, 2017. 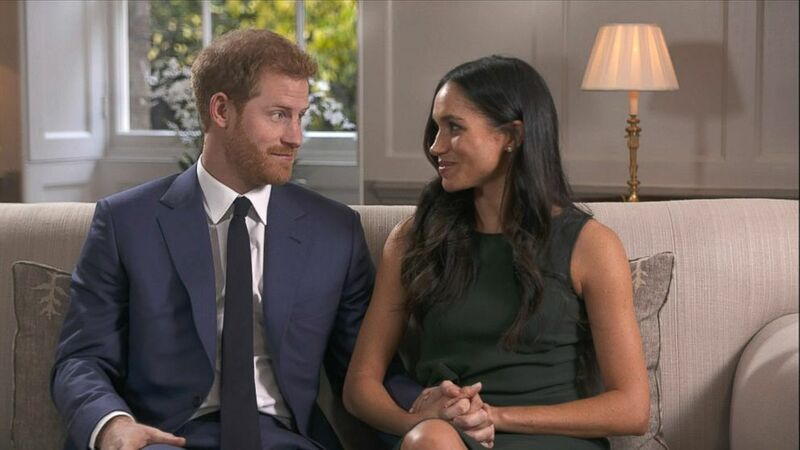 Int: But now that it is all official Prince Harry, do you have that sense that the combination of the two of you, you're different backgrounds, that you together represent something new for the royal family. Prince Harry: For me, it's an added member of the family. It’s another team player as part of the bigger team and you know for all of us, what we want to do is be able to carry out the right engagements, carry out our work and try and encourage others in the younger generation to be able to see the world in the correct sense rather than perhaps being just having a distorted view. So you know, the fact that I fell, the fact that I fell in love with Meghan so incredibly quickly was a sort of confirmation to me that everything, all the stars were aligned. Everything was just perfect. It was this beautiful woman just sort of that -- she tripped and fell into my life; I fell into her life. (Meghan Markle laughs) The fact that she, I know that the fact that she'll be really unbelievably good at the job part of it as well is almost is a huge relief to me because she'll be able to deal with everything else that comes with it. But, no, we're a fantastic team. We know we are. And, we hope to over time try and have as much impact for all the things that we care about as much as possible. Meghan Markle: I am very excited about that, yeah. Int: And Meghan, given your acting and the profile you had, you'd already been involved in various courses. You’ve been an ambassador for U.N. women. What about this new role, I mean, you're going to have a bigger platform, a bigger voice. What do you want to do with it? Meghan Markle: I think what's been really exciting as we talk about the transition of this out of my career but into the role is that as you said the causes that have been very important to me, I can focus even more energy on. Because very early out of the gate I think you realize once you have access or a voice that people are willing to listen to with that comes a lot of responsibility, which I take seriously. And at the same time I think in these beginning few months and now being boots on the ground in the U.K. I'm excited to just really get to know more about the different communities here, smaller organizations we're working on the same causes that I've always been passionate about under this umbrella. And and also being able to go around the commonwealth I think is just just the beginning of that. Prince Harry: There's a lot to do, there’s a lot to do. Int: And it's an immense change: you're getting a new country out of it. A husband obviously, but also giving up your career. Meghan Markle: Yes, but I don't see it as giving anything up, I just see it as a change. Prince Harry: It's a new challenge. Meghan Markle: It’s a new chapter. Right. And also keep in mind I been working on my show for seven years. So we're very very fortunate to be able to have that sort of longevity on a series and for me, once we hit the 100 episode marker I thought you know what I have I have ticked this box and I feel really proud of the work I've done there and now it's time to, as you said work work as a team with you. Int: But do you have that sense of responsibility Prince Harry, for what you thought you were asking Meghan to do? Prince Harry: Of course. That sense of responsibility was was essentially from day one or maybe a couple of months in, when I sort of realized actually, this is you know, I feel I know that I'm in love with this girl. And I hope that she is in love with me. We still have to sit down and I still, you know, I still have to have some pretty frank conversations with her to say you know what you're letting yourself in for it is it is it's a big it's a big deal and it's you know it's not it's not it's not easy for anybody. But I know that at the end of the day, she chooses me and I choose her. And therefore you know whatever whatever we have to tackle together or individually, will always be us together as a team. So I think, I think she's capable. Meghan Markle: So nicely said, isn't it? Prince Harry: She's capable of she's capable of anything. And together as I said there’s a hell of a lot of stuff, work that needs doing. At the moment for us, it's going to be making sure that our relationship is always put first, but both of us have passions for wanting to make change, change for good. And you know with lots of young people running around the commonwealth, that's where we’ll spend most of our time hopefully. Meghan Markle: And it was really one of the first things we connected on, it was one of the first things we started talking about when we met was just the different things that we wanted to do in the world and how passionate we were about seeing change. I think that was, that's what got date two (laughs), in the books probably. Prince Harry: Plenty to talk about. Prince Harry: Not, not currently no. No, of course you know. I think you know one step at a time, and hopefully we’ll start a family in the near future. (Daniel Leal-Olivas/AFP/Getty Images) Britain's Prince Harry and his fiance U.S. actress Meghan Markle pose for a photograph in the Sunken Garden at Kensington Palace in west London, Nov. 27, 2017, following the announcement of their engagement. Int: Have you met each other's families, I imagine? Prince Harry: You've met quite a few of them actually. Meghan Markle: I have! On both sides of his family. His mom's side as well which has been really important to me too. But yes the family has been great, and over the past year and a half we've just had a really nice time getting to know them and progressively helping me feel a part of not just the institution but also part of the family, which has been really, really special. Prince Harry: Trying to track them down and make sure that they're around at the same time that she's popping in without telling too many people. (Meghan Markle laughs) We've managed, we’ve actually done incredibly well, and to make sure you've met all the key people. Int: So does that mean a lot of the time that you've been together in this last year and a half. You've been, you've been at home a lot. Prince Harry: We had to sort of reverse the whole process and cozy nights in, in front of the television, cooking dinner with just the two of us by ourselves in our little cottage rather going out for dinner and being seen in public. So we, we reversed the whole process which is, it's provided different opportunities. And has made us a hell of a lot closer in a short space of time. That's without question. So you know if anybody else... maybe slow down to date, spend more time at home. But no, it's it's for us it's it's an opportunity to really get to know each other without other people, you know, looking, trying to take photos on the phones and that kind of stuff. That comes comes comes with it comes with the job comes the role. Meghan Markle: And we were able to really get to know each other that way, but also then to go and have friends over for dinner or to go to his family's tea or any of those things and even you know just to take the - take the time to be able to go on long country walks and just talk. 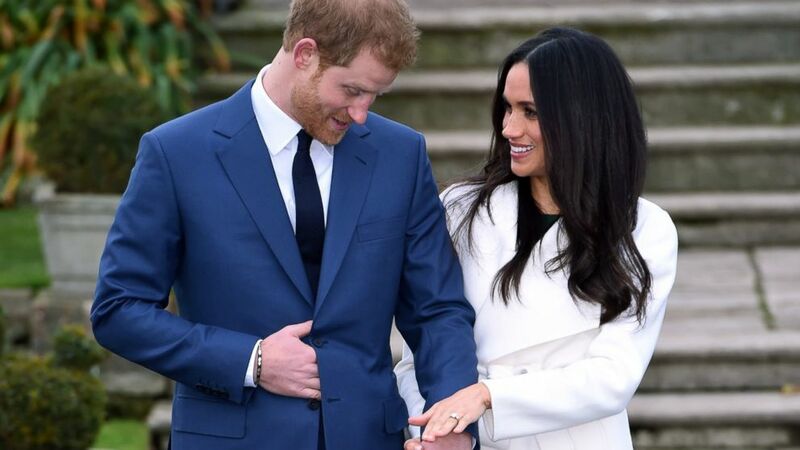 Meghan Markle: It's incredible, I think, you know, a) to be able to meet her through his lens, not just with his honor and respect for her as the monarch, but the love that he has for her as his grandmother, all of those layers have been so important for me so that when I met her I had such a deep understanding and of course incredible respect for being able to have that time with her. And we've had a really - she's - she's an incredible woman. Prince Harry: ... just wagging tails and I was just like "Argh." Prince Harry: ... A handful of teas and meetings and all sorts of gatherings over at his place as well. So, no, the family together have been absolutely, you know, a solid support and my grandparents as well have been - have been wonderful throughout this whole process and they've known for quite some time. So how they - how they haven't told anybody is - is again a miracle in itself. But now the whole family have come together and have been a huge amount of support. Int: ... Do you think they have worried at all about the scale of what you're getting into? Meghan Markle: Well I'm sure the onset, both my parents and my close friends were concerned, because we got very quickly swept up in a media storm that, as I shared, was not part of my life before that. But they also had never seen me so happy. And I think also once my friends - excuse me, were able to - to really meet Harry, and my mom, who we've spent a lot of time with, who is so much fun. Meghan Markle: It was just - you know it was just obvious that no matter what we were being put through that it was just temporary and that we were going to be able to get through that. So everybody was really happy. And he's talked to my dad a few times, hasn't been able to meet him just yet, but it's all been -it's all been worth every effort. Meghan Markle: It's beautiful, and he designed it. It's incredible.